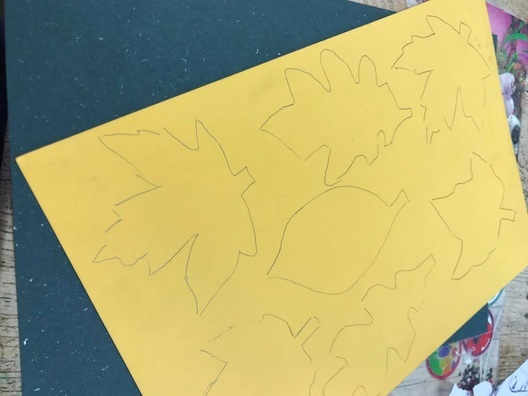 We have used two techniques to decorate our leaves. For the first technique take your desired coloured ink pads and dip your finger into the ink. Rub your finger and the ink around the outline of the leaf. 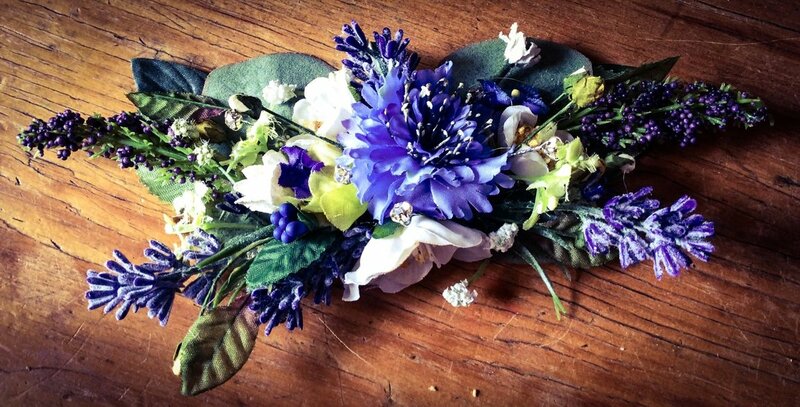 This gives a warm tonal effect and really adds depth and interest to your bunting. Begin by finding desirable leaf templates online and print off your desired shapes. Ensure you print onto card, this will make sketching the shapes onto coloured card easier. Trace the outline of the shape with pencil onto the card. Next using sharp scissors trim around the leaf outlines, keeping as much outline detail as possible. 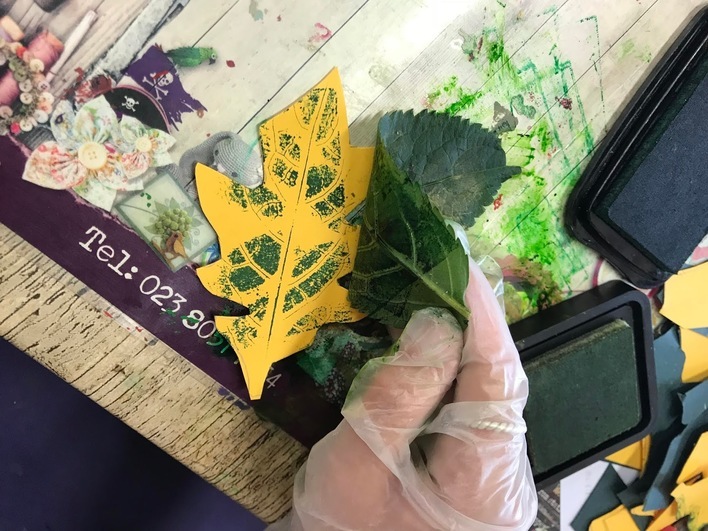 We have chosen to do our leaves on a mixture of green and yellow card to create an alternating patten of autumnal leaf colours. Top tip the harder you press the ink onto the leaf the more prominent the ink colour will be. We just love how the gold ink looks on the dark green card! 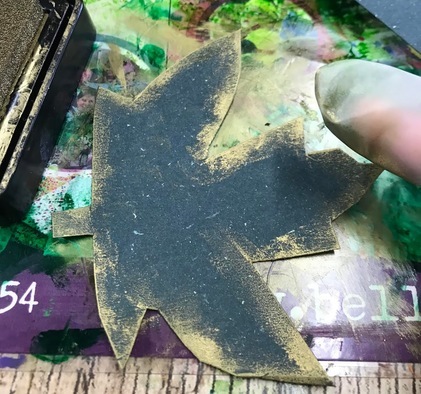 The second decorative aspect we have added to our bunting is stamping actual leaf print onto the surface of our leaves. 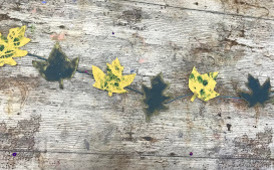 We chose to do this to the yellow leaves, in order for the pattern and veins of the leaf to truly show. We have pushed the leaf into the ink pad to achieve this look. Top tip! Don’t feel like you need to find a real leaf to match your paper leaf’s shape, you can just imprint sections. We have even printed then printed over the top to create interesting textures. The Izink Inks dry quickly and vibrantly, so you wont have to wait long until you can construct your bunting. 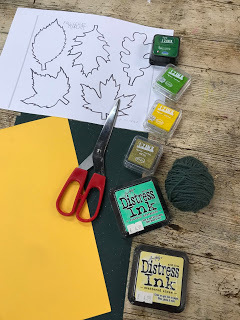 Simply lay out your desired length of yarn, we have chosen an Autumnal colour and place your leaves onto the bunting yarn how you wish them to sit. Attach on the back of the leaves using cellotape. Your bunting is complete! Now to find a space in your crafty home to hang and share your creations with us via email or facebook! Stay tuned for our October blog, featuring an exciting Halloween Craft!